After six years on the air and more than 300 shows featuring interviews with some 500 guests (many repeats), Lisa Morrison has left the building. Her run as the host of Beer O'Clock radio came to an end on Feb. 28. More on the future of the show later. Beer O'Clock, the only weekly beer show on commercial radio in these parts, aired Saturday afternoons on KXL and attracted some 25,000 listeners a week, Morrison told me. That estimate doesn't count listeners on the Radio NW Network, where the show aired on nine more stations, or podcast listeners. The decision to stop doing the show was not made lightly. Morrison is not the type to quit anything. But her responsibilities have changed since she became majority owner at Belmont Station two years ago. There's less time for the radio show and doing it on the cheap wasn't an option. "I'm really not the type to 'mail it in' so I decided I should end the show rather than drag it out without devoting the time it deserved," Morrison says. "I'm plenty busy at the Station and I'm hoping this change will allow me to strike a better work-life balance. I feel like a load has been lifted from my shoulders." There were a number of entertaining and memorable moments over the years. "One of the funniest moments was when Sam Calagione (Dogfish Head) was doing a phone interview while parked on the side of the road in Delaware. A cop came up to make sure he was okay. We ran the entire interview, including his interaction with the officer. It was too funny." Of course, some moments were more serious than funny. Morrison conducted the last interview with the late Don Younger, which ran shortly after he passed away. "Doing that interview with Don and running it after he died was heartbreaking and poignant. Listening to his comments after the fact made me wonder if he knew his time was short. I miss him every day." Gauging Beer O'Clock's legacy and impact on the craft beer scene is tough. It's probably best seen as one spoke in a wheel with many. But the show was most definitely a place you could depend on to find out what was going on in and around the industry. The origins of Beer O'Clock date to early 2009. It evolved from a show called The Libation Station, on which Morrison worked briefly with Bruce Bjorkman,. When KXL decided to drop the show, Younger negotiated a deal whereby Morrison would do a beer show and pay for the air time with advertising dollars. Younger agreed to sell the advertising. "That was about when the smoking ban kicked in," says Morrison. "Don fell into a funk and I found myself creating, hosting and producing a show with nobody to help with sales. I didn't really like being on the radio, but I saw an opportunity to educate a potentially large audience and spark excitement about craft beer. So I dove in. The rest is history!" After announcing she would leave the show, Morrison received a flood of comments and thanks from fans sad to see it ending. A number of people said the show was a good companion while traveling, driving, running, cleaning house, brewing, etc. "I hope it brought people together and made them smile," Morrison said. "One of my greatest memories is my 70-something neighbor telling me she didn't like beer, but loved my radio show and the stories brewers and others had to tell. I always kept that in mind and made an effort to balance the geeky stuff with down-to-earth information." Morrison isn't going away. She'll continue on in her role as beer ambassador extraordinaire. When she isn't thinking up ways to improve Belmont Station, she'll continue to write articles for a variety of beer-centric publications and promote good beer in other ways. It's in her DNA. 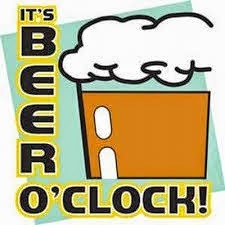 For my part, I seldom listened to Beer O'Clock. I'm not sure why. I was one of the 500 guests, interviewed when my book came out in September 2013. 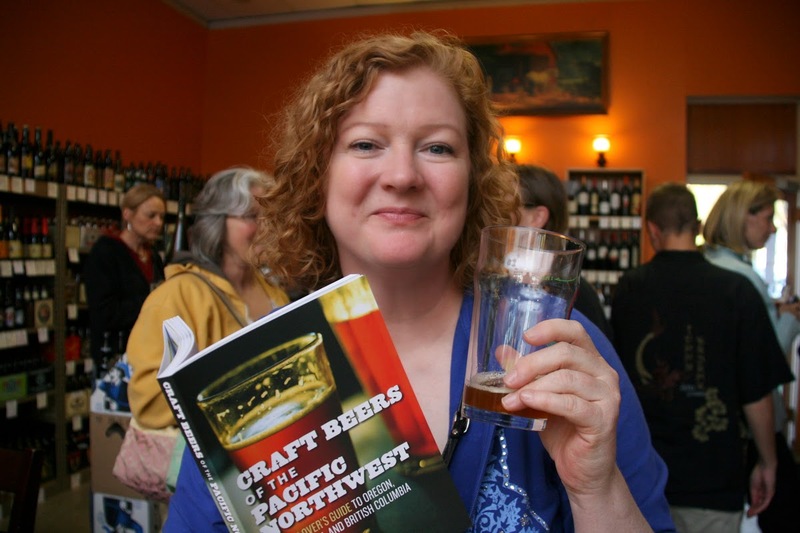 I knew of Lisa by way of her book, Craft Beers of the Pacific Northwest, several years before I got to know her personally. She truly is one of the great people in craft beer. I join many in wishing her well in radio retirement. As for Beer O'Clock Radio, KXL is currently searching for a new host, according to programming directer, Scott Mahalick. I have no idea what they plan to do in terms of format or name, but they clearly intend to carry on in some fashion. Good news for beer fans.